Eighteen-year-old Wolmer’s Boys’ School student Shaquille Johnson has impressed observers with how successfully he has run his company, Drone Repairs Jamaica. Shaquille, who is serving as head boy in his last year at Wolmer’s, started his company over a year and a half ago, providing repair services for unmanned aerial vehicles (UAVs), otherwise known as drones. His company has multiple divisions, including marketing, outreach and repairs. Currently, seven other persons, mainly high-school colleagues, are involved in the business, four as partners and three as employees. Shaquille noted that operating the business has provided him with a host of difficult challenges. “Every repair that we get, there is a different set of challenges that come about,” he said. Shaquille’s most difficult experience, he said, has been to remain relevant as, though growing, Jamaica continues to have a small market for drones. He said, however, that the restriction does not affect his business’ immediate profitability. The limitations do, however, influence the business strategies he adopts. “There is an extremely vast amount of research that we would have to put into everything we do so that we are up to date with the technologies that are coming out … . We are constantly evolving,” he said. He noted that the business idea developed from an interest in electrical repairs and him combining that passion with a natural attraction to entrepreneurship. The source of his lasting support has been his family, which also continues to inspire him. His family also provided a guiding philosophy that “business entails much more than money, it is how you are able to satisfy your customers through the service that you offer”. Shaquille said he “aims to exceed expectations at all times, regardless … and foster a culture within the business of togetherness”. Managing a successful company while balancing his responsibilities as Wolmer’s head boy and his academic studies continues to be a daunting task for Shaquille Johnson. 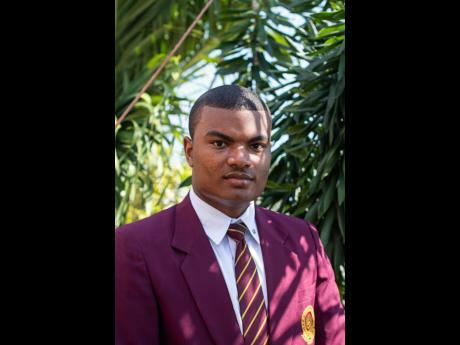 Shaquille previously served as student council president during his business’ inception and is also responsible for reintroducing the Robotics Club at Wolmer’s. This young entrepreneur also has a burning desire to contribute to nation building. He says that his vision is to have a “premier technology company in the Caribbean for starters, and then we can look at expanding it into the globe”. that while drones possess immeasurable potential for the future, the industry should also be coupled with the necessary regulations in order to ensure a safe environment. Shaquille also believes that despite the societal ills that plague the country, Jamaica is developing a more business-friendly environment. He suggested that policymakers “break down the bureaucratic processes” and “make it easier, through policy, for small-business owners and young entrepreneurs to start businesses in Jamaica and become a part of the country’s business community”. He challenged potential young entrepreneurs, “First, assess where your passion lies, then assess the skill sets that you may have”.